Klim badlands pro jacket XL - DAMN Riders - No rules, Just ride! 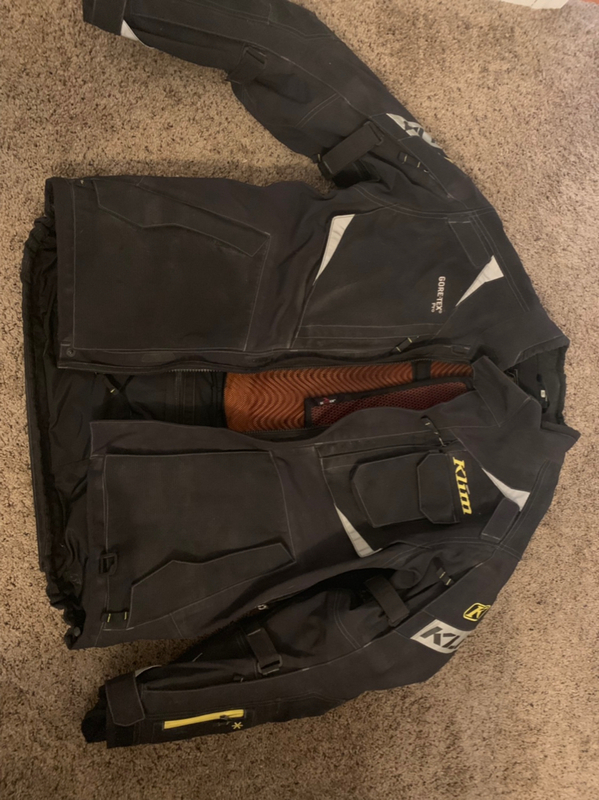 Great condition, new main zipper installed by klim last season under warranty. It’s a few years old and is the last generation badlands pro. I’m asking $450 or preferably trade for a size large in black. Only reason I’m selling is I lost 40lbs and this is too big for me now. All armor is included and in perfect condition. Picture shows the jacket a little dusty but I will wash before sale. I have the same jacket and the same problem. Good luck on the sale!